In this session we will dive deep into HOT (Heap Only Tuple) update optimization. 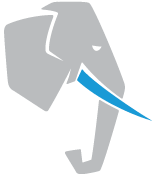 Utilizing this optimization can result in improved writes rates, less index bloat and reduced vacuum effort but to enable PostgreSQL to use this optimization may require changing your application design and database settings. We will examine how the number of indexes, frequency of updates, fillfactor and vacuum settings can influence when HOT will be utilized and what benefits you may be able to gain.